The majority of these crimes are never reported. 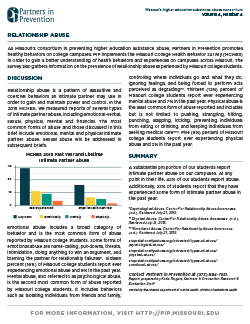 Power-based personal violence is a serious public health issue affecting college students nationwide. Addressing power-based personal violence requires campus-wide recognition of the serious impact these acts of violence have. Compiled here are resources to help address power-based personal violence with trauma-informed prevention, responses, and support services. 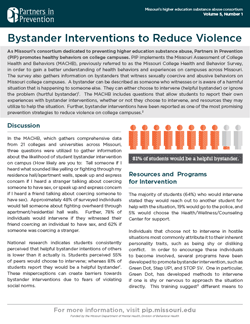 Partners in Prevention considers Title IX compliance vital to the health and safety of all students. In an effort to help all campuses understand what is required of them, PIP has collected resources, guides and tools that you can access below. 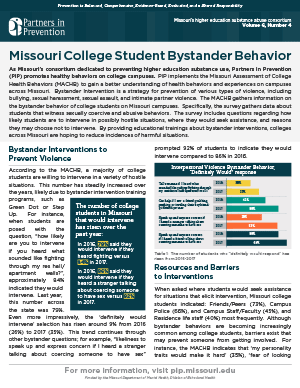 Resources on this page can be used by campuses as guidance towards full understanding of Title IX, the Clery Act, the Campus SaVE Act and VAWA. Please click the title of each resource to read a description and learn more details. The Obama Administration today announced publication of the final rule implementing changes made to the Jeanne Clery Disclosure of Campus Security Policy and Campus Crime Statistics Act (Clery Act) by the Violence Against Women Reauthorization Act of 2013 (VAWA). That law and the new rule strengthen the Clery Act to more effectively address, and ultimately reduce, sexual violence on college campuses, including, domestic violence, dating violence, and stalking. Although the final rule will not go into effect on July 1, 2015, the Department reminded institutions that the VAWA statutory provisions are in effect now and institutions are expected to make a good faith effort to comply with those requirements. Lack of Knowledge About the Scope of the Problem. Failure to Encourage Reporting of Sexual Violence. Lack of Adequate Sexual Assault Training. Reported Sexual Violence Goes Uninvestigated. Lack of Adequate Services for Survivors. Lack of Trained, Coordinated Law Enforcement. Adjudication Fails to Comply with Requirements and Best Practices. Important note: The appendix of the report includes a detailed breakdown of every survey question, which includes how the respondents answered according to institutional type (large, small, public, private, NCAA division, etc.). *Contact Robert Clay at (573) 681-5497 or clayr2@lincolnu.edu for more information. The U.S. Department of Justice’s Office on Violence Against Women (OVW) announced the launch of The Center for Changing Our Campus Culture (www.changingourcampus.org), a new comprehensive online clearinghouse on sexual assault, domestic violence, dating violence, and stalking on campus. This new website provides the latest information, materials and resources for campus administrators, faculty and staff, as well as campus and community law enforcement, victim service providers, students, parents and other key stakeholders to use to improve campus safety. 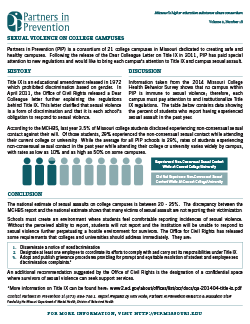 In August 2014, a summit was held to bring together campus officials from around the U.S. to discuss unresolved issues around Title IX and other related legislation, including the Clery Act and the Violence Against Women Act. During the summit, campus police, administrators, deans of students, Title IX and Clery Act staff, and others met to work toward better compliance. Following the summit, a list of issues and promising practices was created. To access this resource, click here. Frequency of Drinking Games Participation and Alcohol-Related Problems in a Multiethnic Sample of College Students: Do Gender and Ethnicity Matter? note: many of the research articles included in this roundup can be found above.